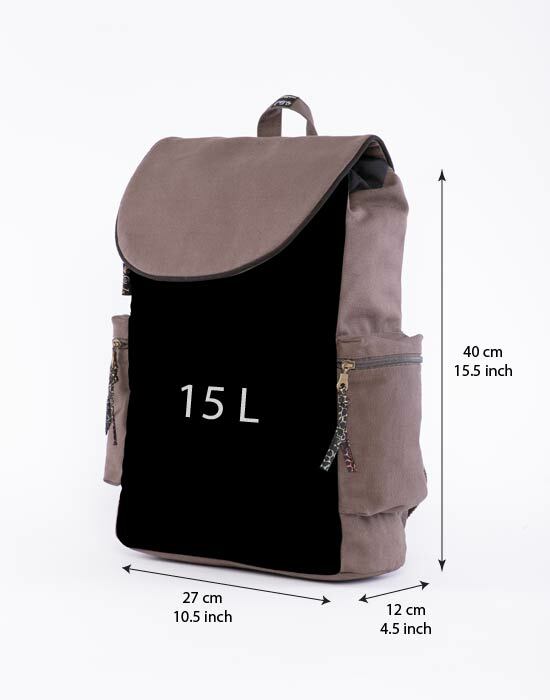 Canvas laptop backpack for men and women with psychedelic art printed in high quality silk screen printing. Handy side pockets plus a padded laptop sleeve fitting 13- 15- 17 inch laptops. This backpack has a great design and I love the colors it matches with everything. The company delivered the gift in a timely matter and it came with an extra bag to protect it from getting dirty. The best part I finally have a backpack where my over oversized big laptop fits in easily.